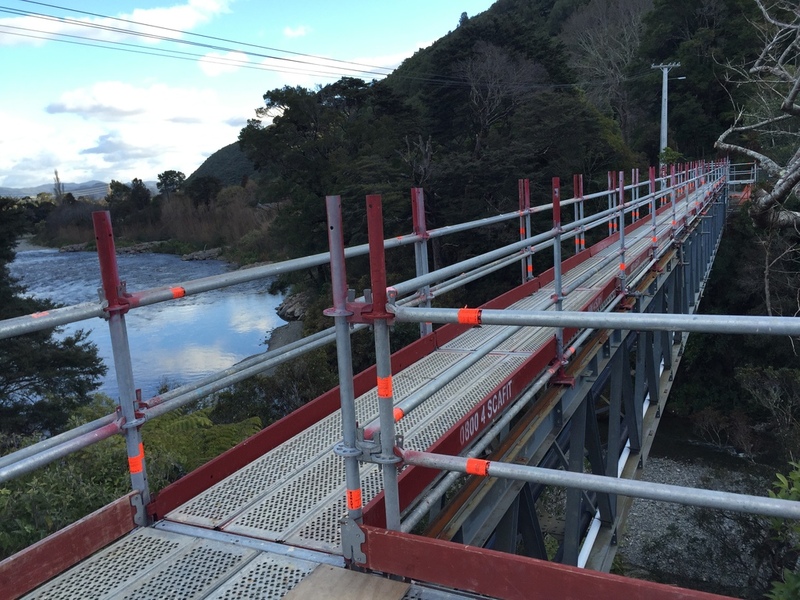 Our team provide scaffolding solutions for residential, commercial, industrial and infrastructure construction projects throughout the lower North Island. Reduce hazards when renovating your home with safe and sturdy scaffolding. Scafit can a provide safe working platform and edge protection at all heights and elevations for all tradesmen’s requirements. From small to large access and containment requirements Scafit has a scaffolding solution to meet your needs. Our experience includes suspended scaffolding, sub-water works, gantries, stair access, bird cages, confined spaces, and heavy-duty loading bays. In October 2015, abnormally high rain levels led to a bridge crossing the Akatarawa in Upper Hutt collapsing under raging torrents. At the time, the collapse left a community of seventy houses on Bridge Rd isolated and without any vehicle access to Upper Hutt. Water and gas services were also affected. Local firm Brian Perry Civil Ltd was awarded the contract for the bridge removal and the construction of a replacement and in the meantime, a non-public temporary services bridge was placed along side the damaged bridge. This carrier sewer, water, gas, and telecommunications. Scafit was engaged to build access along the temporary services bridge for the contractors to move between the two banks.